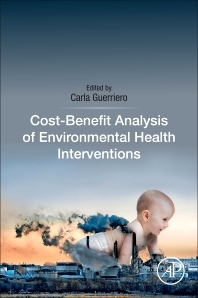 Cost-benefit Analysis of Environmental Health Interventions clearly articulates the core principles and fundamental methodologies underpinning the modern economic assessment of environmental intervention on human health. Taking a practical approach, the book provides a step-by-step approach to assigning a monetary value to the health benefits and disbenefits arising from interventions, using environmental information and epidemiological evidence. It summarizes environmental risk factors and explores how to interpret and understand epidemiological data using concentration-response, exposure-response or dose-response techniques, explaining the environmental interventions available for each environmental risk factor. It evaluates in detail two of the most challenging stages of Cost-Benefit Analysis in ‘discounting’ and ‘accounting for uncertainty’. Further chapters describe how to analyze and critique results, evaluate potential alternatives to Cost-Benefit Analysis, and on how to engage with stakeholders to communicate the results of Cost-Benefit Analysis. The book includes extensive case studies and end of chapter exercises. It is supported by an online website providing solution files and detailing the design of models using Excel. Carla Guerriero is Research Fellow at the Department of Economics and Statistics, University of Naples Federico II and honorary Research Fellow at the London School of Hygiene and Tropical Medicine. Since 2009, her research and teaching focuses on the methodology and the application of Cost-Benefit Analysis to Environmental Health Interventions and on the development of novel techniques to value children’s health. Carla has published her research in national and international research journals including PLoS One, The European Journal of Health Economics and Environmental Health. Carla conducted the first cost-benefit analysis of remediating polluted sites. She is currently responsible for the test and the design of the Cost-Benefit Analysis tool in the LIFE+ Gioconda Project.